Join Ryan Greene, Reiki Master Teacher, of Awaken in this Usui Reiki Journey. The ancient practice of Reiki is becoming more popular for its healing and balancing abilities. The tools you learn in this class will provide you with the ability to channel healing and cleansing energy for all to benefit. Join other beginner-level students to learn about the power of Reiki and how to channel Reiki, increase your energy flow awareness, and share Reiki for self healing or with others (including pets!). Become Level 1 certified and begin your journey of becoming a Reiki Practitioner. This one day class will not only focus on Usui Reiki but also expand on this tradition with Chakra education, energy grounding techniques, the use of crystals, and how to use your intuition and body scanning during healing sessions. $175 includes a Level 1 Usui Reiki Student Manual, a level 1 certificate, and your own free copy of “Essential Reiki: A complete Guide to an Ancient Healing Art” by Diane Stein for further learning + practice. Seats are limited, so sign up soon at www.awakenmassagerva.com/classes. Join us for this rare and powerful experience, brand new to RVA! During this One Hour Mindfulness Practice, you will have the opportunity to connect with breath, create space within, and be opened up and balanced with Reiki energy work. Hosted by Ryan Greene and Jenna Davis of Awaken, to bring you to a place of healing and to cultivate a special moment for yourself to find balance and peace...The practice will be followed by a Q and A for tips on grounding, mindfulness, breath, and balance. This is a seated, guided meditation and space is limited to 12 people. CBD tea and water is provided. Bring a blanket or cushion, it is going to be amazing. A Private class taught by Ryan Greene to give you and your partner the skills of massage for one another. Each class is customized to the massage needs of the participants and comes with complimentary Coconut massage oil to take home! You will learn basic techniques that can be transferred to a couch, bed, or chair at home. 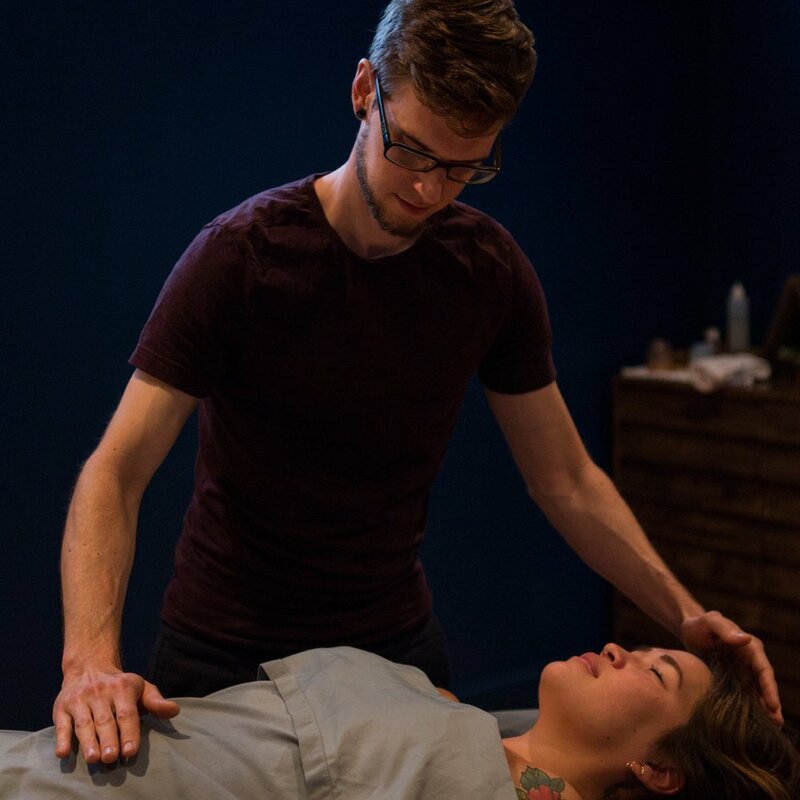 The best way to learn massage is hand on so each of you will get a chance on the table , being massaged by your partner, while you receive professional instruction.